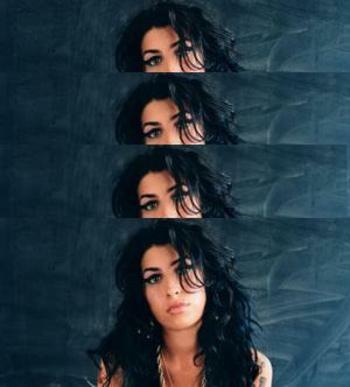 10 posts categorized "Amy Winehouse"
Holy Hell! 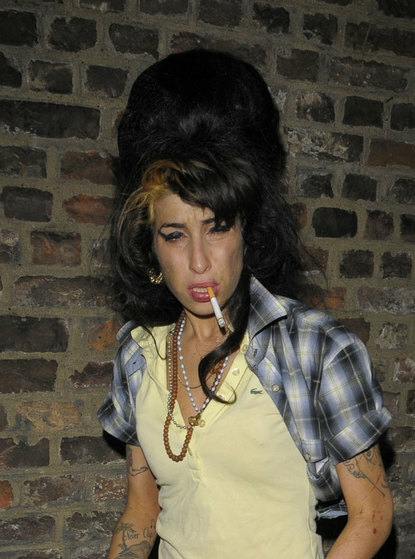 Five time Grammy winner Amy Winehouse goes for a stroll in her London neighboorhood. DAMN!! I just had to share. I mean really...WTF?! Someone save this woman, please!! but she said...NOOOO NOOOO NO! 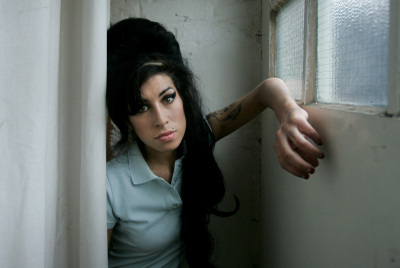 The brilliant Amy Winehouse picked up 5 Grammys last night for her incredible album, Back to Black. 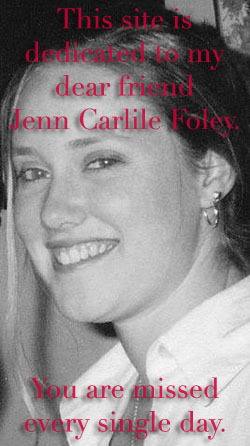 Let us hope that her many wins will help dear Amy put her life in perspective and continue on the straight and narrow. Her performance of You Know I'm No Good and Rehab was a highlight of the Grammy evening. The always stellar and amazing Amy Winehouse performing her song Love Is A Losing Game at the Mercury Awards in London yesterday. Wow Wow Wow. xoxo. 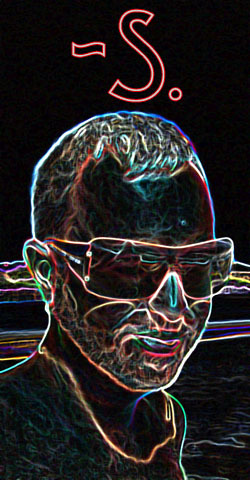 Amy Winehouse + David LaChapelle = Yummy Yummy Video Goodness. The song, taken from her Back to Black album, is called Tears Dry On Their Own. xox. 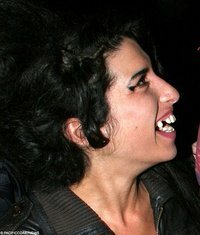 Amy Winehouse is fab-u-lous. What she lacks in chompers (see the awful picture to the left - eeeek!) she makes up for with her incredible voice. 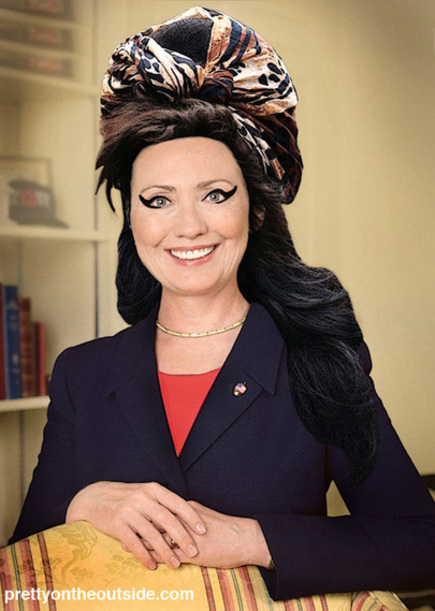 I've been listening to her Back to Black album non-stop. It's super duper good. If you haven't given her album a listen then you definitely need to - like now - go! The following video is for her song "You know I'm no good". This girl has more soul, funk and brilliance than anyone out there at the moment. Ms. Spears could take a few lessons. 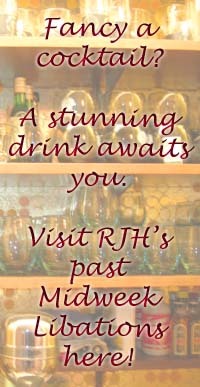 Click Here for more Winehouse goodness. Enjoy. xox. I had seen this video below a while ago but while reading one of my favorite lil' blogs, Josh and Josh are Rich and Famous, I was reminded how much I enjoyed it and thought it was hiiiiilarious. 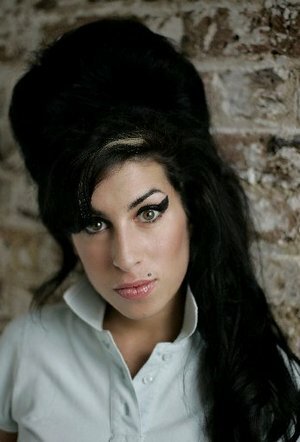 If you haven't heard of Amy Winehouse, you need to. If you haven't heard about Britney's rehab visit, where have you been?! Not sure of the orginal creator of this mash up but I'm a huge fan. Amy's song "Rehab" gets a new visual treatment. However, after you have watched the video below, you can see Amy sing it here. Enjoy.